A safari in Mana Pools is magically wild. Lion, elephant, hippo, buffalo, hyena, leopard...bring your safari tick list and one of the only things you won't spot is other tourists. 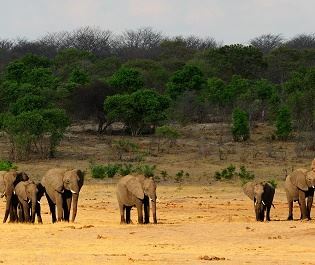 There is nowhere in Africa with such a strong population of big game and so few people. 20 years ago this was regarded as one of Africa's finest safari destinations. The big game has stayed, yet safari goers have almost disappeared. Mana Pools is one half of a World Heritage site, the other being across the Zambezi River: Zambia's Lower Zambezi National Park. Wildlife loves to swim across the river and we've found equally good game concentrations in both parks. 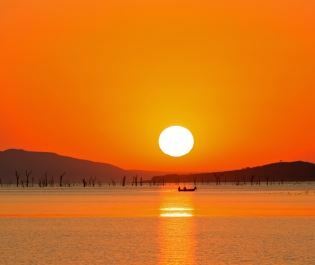 Take a canoe safari and you might watch an elephant using its trunk as a snorkel, wildebeest crossing on mass, or buffalo barely keeping their horns dry. 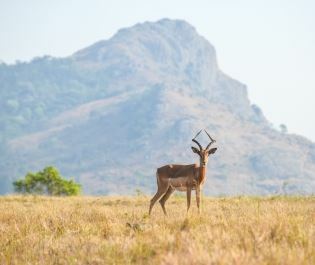 The perfect walking safari destination. 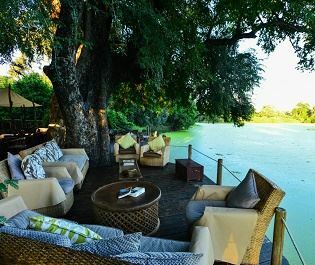 Tall stands of mahogany and ebony trees stretch out from the water, a haven to hide in for leopard and lions. Lush plains open out and they're packed with antelope, including great numbers of kudu, eland, waterbuck, and impala. 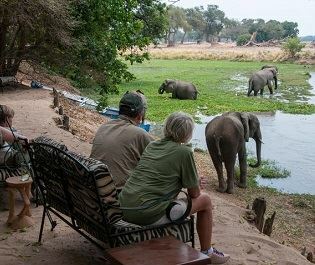 They're all very relaxed about people on foot and Mana Pools is a sublime place for a walking safari. Due to the lack of people visiting the park, everything you encounter reacts in a very authentic manner. The best time to visit Mana Pools. The dry season of April to November is the only realistic time to come as the camps close during the rains. The later in the year is best as big game gets easier and easier to see as the landscape shrivels. But even in April or May, you'll be finding exceptional scenes in what feels like your personal safari park. Flying in can be expensive but is definitely the best way to go. The views are stunning and you'll want to maximise the time spent exploring. 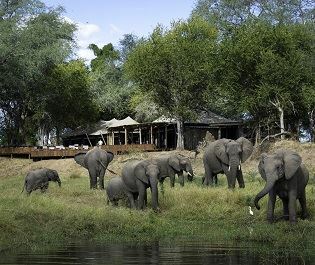 Camps aren't opulent but are more than comfortable and provide a classic safari-under-canvas. You'll be hearing and watching wildlife from your balcony. Mana Pools isn't an up and coming destination. It's not the next big thing or a hidden gem. It offers the quality and infrastructure you'd expect from a longstanding national park. Everything is ready for an exceptional safari experience. 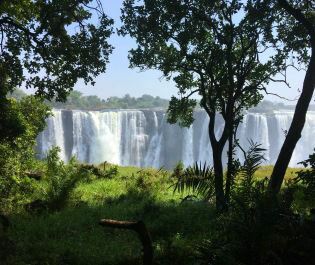 It's just waiting for people to take the plunge and choose Zimbabwe. 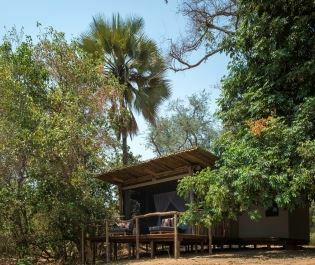 With no itinerary, a remote location, no WiFi or phone signal and a wonderful, well-renowned guide, this gorgeous eco camp takes you back to nature.